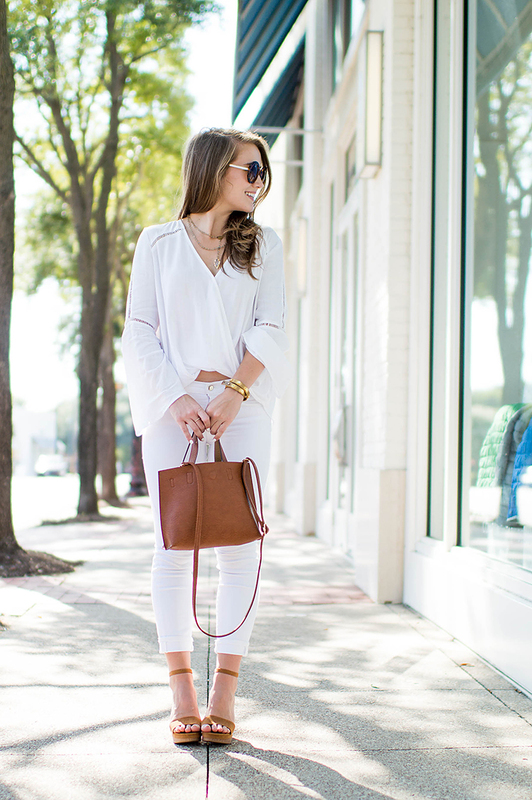 Nothing combats summer heat quite like a crisp, cool, all-white ensemble. This simple and deceptively easy to put together look has that special “it” factor…. one that perfectly combines “on-trend” and “utterly timeless,” and makes this aesthetic one I sport frequently during the months of June and July. But the key to creating a perfect all=white look is not what you might expect… it’s all in the accessories! A big part of what makes the all-white look so appealing is it’s instant freshness. Rather than viewing the white as a neutral, and therefore a canvas for colorful accessories, view it as your statement. Everything you complete your all-white with should allow the white to shine, so stick with neutral, streamlined, classic details in similar neutral shades. 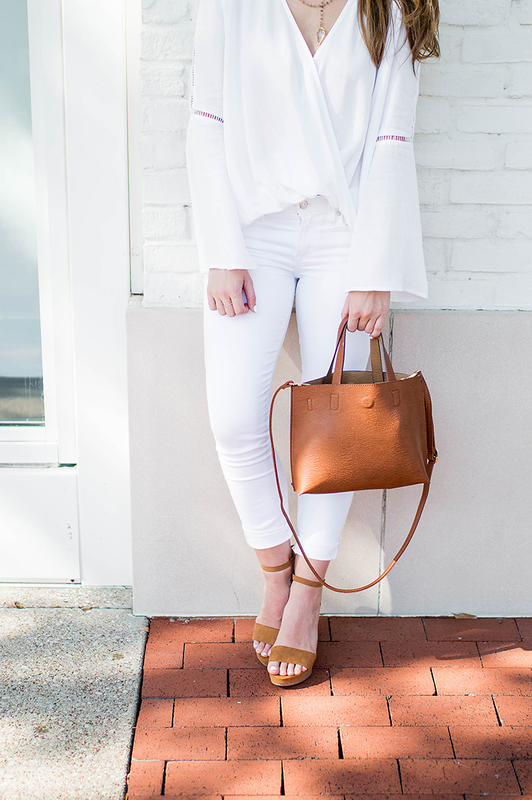 You’ll also notice the cutest little cross body that’s new to the blog today! Y’all… remember the reversible tote we all went crazy for this past fall? Nordstrom has made a mini, and it’s the cutest thing! Classic, reversible, versatile, and at a great price point. Grab it here before it sells out! Finally, I finished off the look with a stunning necklace designed by one of my dear friends, Madeline. As my friend Marge described it, “It’s feminine but fierce.” A little out of my comfort zone, and I love it. Check out more of Madeline’s amazing designs here! I hope everyone had a fabulous weekend! Sadly, I had my nose to the grind for nearly all of it. The good news, though, is it was in order to get ready for a junior high inner-city service project I get to help out with this week! Already excited to see how the Lord uses these 6th-8th graders in big ways. Wishing lots of blessings over your week! Very very pretty!! I love the necklace!! I love all white styles especially for summer cookouts. 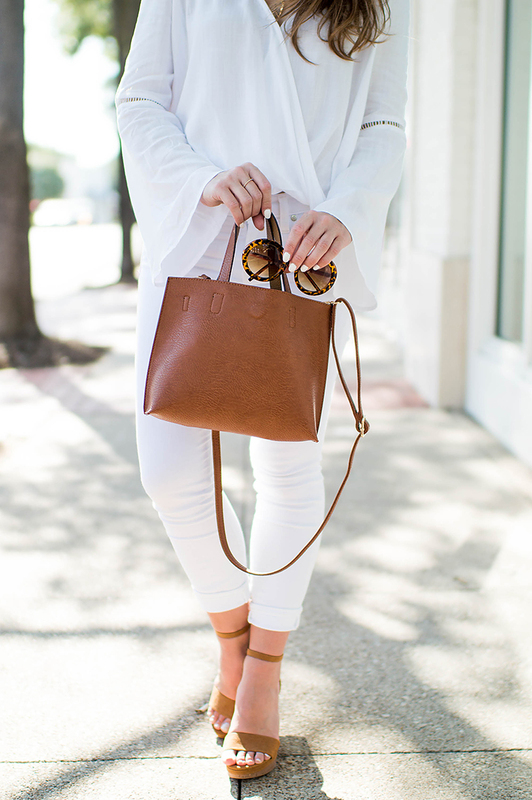 The caramel shades look so classic with the white! Love this look! I love the detailing of this top and the necklace. This is a beautiful white look. Good luck with your service project. I am sure it will go great! 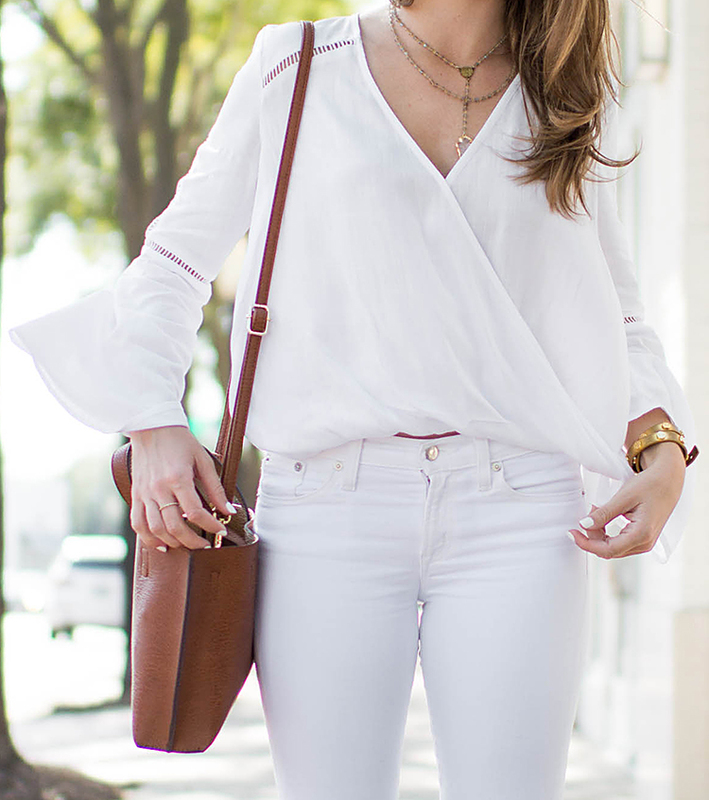 Love your necklace, and the bell sleeves are adorable! I really hope that the bell sleeve trend stays around for a long time because they’re so cute!! 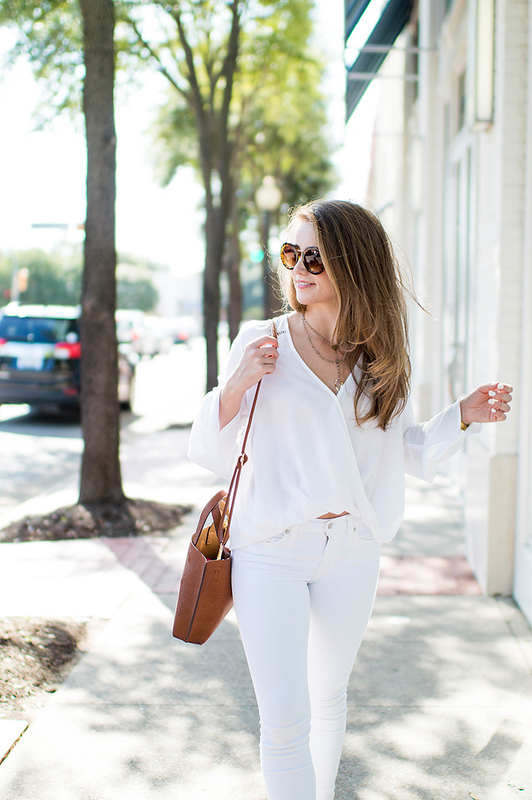 Well if this isn’t just the perfect all white look! Love, love, love!